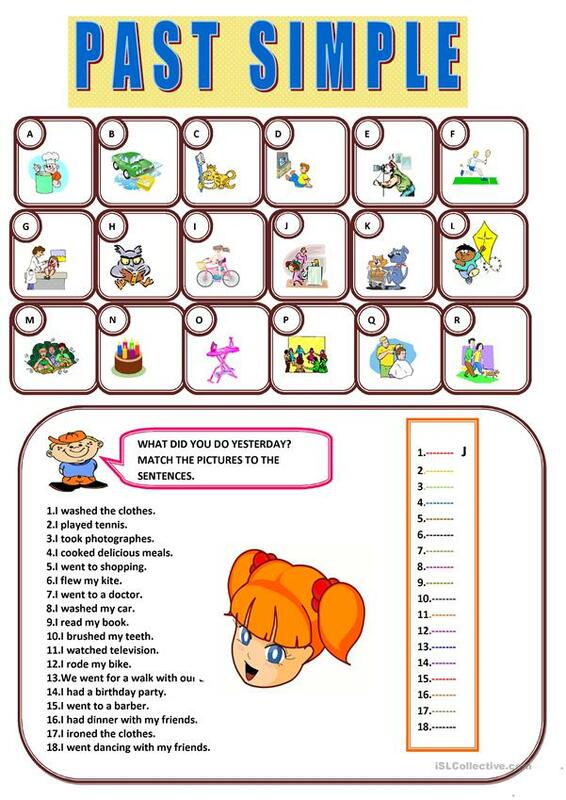 AN EASY WORKSHEET FOR STUDENTS TO REVIEW PAST SIMPLE TENSE.FIRST THEY LOOK AT THE PICTURES THAN THEY WILL MATCH THEM WITH THE SENTENCES. The above downloadable teaching material was created for elementary school students at Elementary (A1) level. It is a useful material for revising Past simple tense in English, and is a valuable material for improving your groups' Reading skills. aycamind is from/lives in Turkey and has been a member of iSLCollective since 2011-12-16 09:32:11. aycamind last logged in on 2018-05-05 09:15:28, and has shared 5 resources on iSLCollective so far.